On October 18, 1871, Charles Babbage, mathematician, inventor and early computer scientist passed away. We think, everybody should know about Charles Babbage and his seminal work on the first mechanical universal computer, the Analytical Engine. Although the Analytical Engine never was build during his lifetime, due to the lack of according fine mechanics in the 19th century, Babbage sketched out everything necessary to construct and to program a universal computer. In 1815 Babbage gave a series of lectures on astronomy at the Royal Institution, on 14 March 1816 he was appointed a member of the Royal Society for his services to mathematics, and in 1817 he obtained a Master’s degree in philosophy. 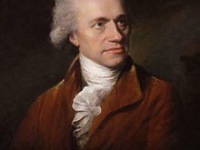 In 1820 he also became a fellow of the Royal Society of Edinburgh. In the same year Babbage, together with John Herschel and George Peacock, founded the Royal Astronomical Society, whose secretary he became until 1824. In the times of Babbage there was a really high error rate in the calculation of math tables, when Babbage planned to find a new method that could be use to make it mechanically, removing the human error factor. This idea started to tickle his brain very early, in 1812. Three different elements influenced him in this decision: he disliked untidiness and unprecision; he was very able with logarithmical tables; he was inspired from an existing work on calculating machines produced by Schickard, Pascal, and Leibniz. 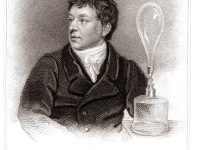 He discussed the main principles of a calculating engine in a letter he wrote to Sir Humphrey Davy in the early 1822. By that time Babbage began developing his Difference Engine, a mechanical device that could calculate and tabulate polynomial functions, but he was unable to complete it because of a lack of funding. The name ‘Difference Engine‘ derives from the method of divided differences, a way to interpolate or tabulate functions by using a small set of polynomial coefficients. Both logarithmic and trigonometric functions, can be approximated by polynomials, so a difference engine can compute many useful sets of numbers for navigators and scientists. 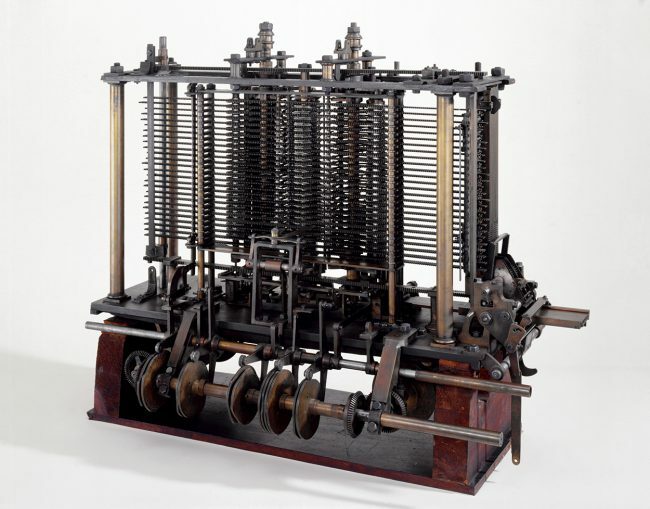 In the 1830s Babbage began developing his Analytical Engine, which was designed to carry calculations guided by a programming logic, but this device was never built. Babbage’s book Economy of Machines and Manufactures (1832) initiated the field of study known today as operational research. Unfortunately, little remains of Babbage’s prototype computing machines. 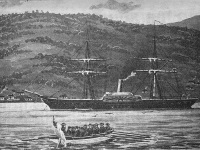 Critical tolerances required by his machines exceeded the level of technology available at the time. And, though Babbage’s work was formally recognized by respected scientific institutions, the British government suspended funding for his Difference Engine in 1832. One year later Ada Augusta King, Countess of Lovelace, the only legitimate child of the famous poet Lord Byron, met Babbage and was fascinated with both him and his computers. She became a competent student of mathematics, which was most unusual for a woman at the time. It is often suggested that Ada was the world’s first programmer.[12,13]. His calculator was described by Federico Luigi Menabrea and annotated in English translation by Ada Lovelace, who was sponsored by Babbage. 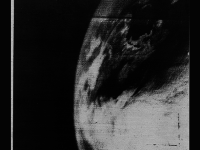 Both writings are regarded as early pioneering works on programming. Unfortunately, Babbage was never able to complete his Analytical Engine, and the concept was shelved and forgotten until 1937 when many of his unpublished notebooks were discovered. Finally, in 1991, British scientists got around to constructing a machine called Difference Engine No. 2 (accurate to 31 digits) built according to Babbage’s detailed specifications. Later, hobbyists also copied this machine with modern, precise toy kits such as Lego and Meccano. In 1826 Babbage published a paper in which he put the life insurance business on a statistical basis using mortality tables. In 1828 Babbage became professor of mathematics at the Lucasian Chair of Mathematics at Cambridge University (until 1839) but gave no lectures. His report Reflections on the decline of science in England, and on some of its causes of 1830, which reflected his dissatisfaction with the state of the Royal Society, led to the foundation of the British Association for the Advancement of Science in 1831. His book On the Economy of Machinery and Manufactures, published in 1832, is an analysis of the technology and organisation of industrial capitalism of his time, in which he wrote, among other things, about the reduction of wage costs by splitting a work process into sub-processes of varying degrees of complexity, which is today also known as the “Babbage Principle”. According to the account of Lady Lovelace Babbage hated music. He tolerated its more exquisite forms, but abhorred it as practiced on the street. “Those whose minds are entirely unoccupied“, he wrote with some seriousness in 1864, “receive [street music] with satisfaction, as filling up the vacuum of time“. He calculated that 25% of his working power had been destroyed by street nuisances, many of them intentional. Letters to the Times and the eventual enforcement of “Babbage’s Act“, which would squelch street nuisances, made him the target of ridicule. Babbage also worked in the fields of philosophy and code-breaking, as well as campaigning for reform in British science. In 1854, he was the first to decipher a Vigenère cipher by describing how to filter the matching key from the ciphertext. However, he never published his method, so that scientists only became aware of his findings after his death. 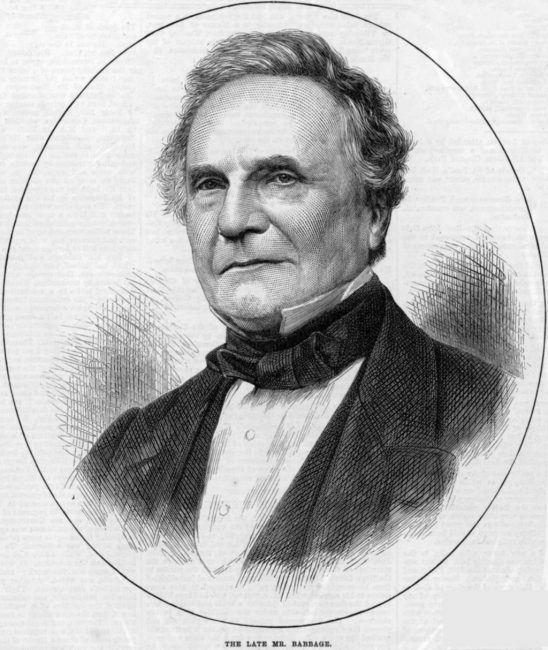 Charles Babbage died at his home in London on 18 October 1871. Learn more about Charles Babbage and his work in the lecture of Prof. Doron Swade from Neukom Institute at Dartmouth College about ‘Constructing Charles Babagge’s Analytical Engine’. (in German) H. Sack: Programmieren, in: Historisches Wörterbuch des Mediengebrauchs. Band 2, hrsg. von Heiko Christians, Matthias Bickenbach und Nikolaus Wegmann, Böhlau Verlag, Köln, Weimar, Wien, 2018.